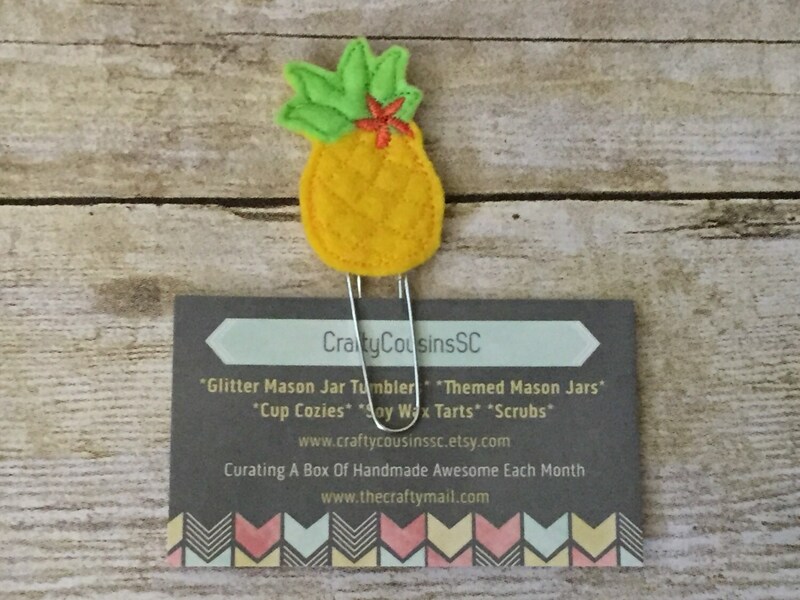 Large paper clip with pineapple embellishment. Beautiful stitching, very professional. Super fast shipping. Adorable in every way.